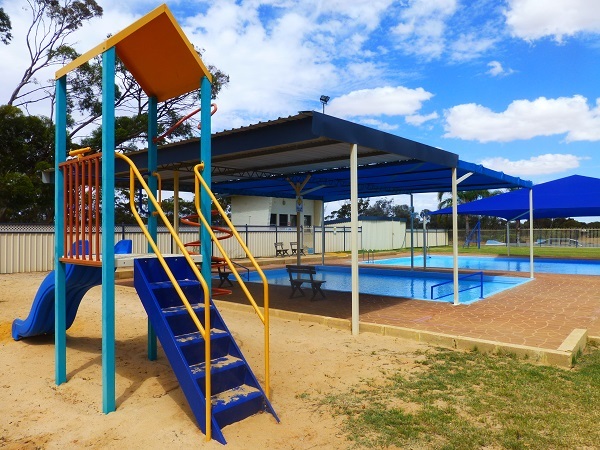 The Shire of Nungarin's Nungarin Swimming & Recreation Centre boasts a shaded toddler pool, children's play area, diving board and a main swimming pool. The Centre is open Tuesday to Friday 6.30 am to 8.00 am and then 12.00 pm - 6.00 pm. On Saturdays and Sundays the pool is open from 12.00 pm to 6.00 pm. There is also a shaded area with seating for parents as well as an electric barbecue which can be used free of charge. The Swimming Pool Manager can be contacted on 9046 5071. The Nungarin Swimming & Recreation Centre also houses a gymnasium. 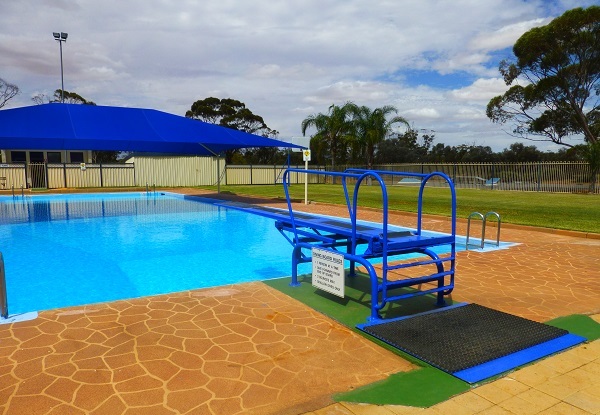 Entry to the swimming pool is $5 for adults, and $3 for pensioners & children. Family, adult and child season tickets can also be purchased..